Jonathan Todd is a molecular microbiologist who is interested in how a broad range of microbes, both Prokaryotic and Eukaryotic, participate in biogeochemical cycling. My research group focuses on the specific mechanisms that allow such organisms to synthesise and breakdown key biological molecules and importantly regulate these processes as to allow them to sense and respond to environmental cues. ii. How Eukaryotic phytoplankton, macroalgae and a few marine plants that make DMSP do so and importantly why. I obtained my undergraduate degree in Molecular Biology and Genetics at the University of East Anglia (UEA). 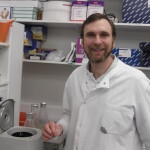 During my degree, I became interested in molecular microbiology and did my PhD on the molecular genetic aspects of iron uptake in the nitrogen-fixing bacterium Rhizobium leguminosarum, in Professor Andrew (Andy) Johnston‘s group in the School of Biological Sciences at UEA. 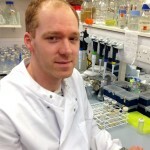 Since completing my PhD, my post-doctoral research has been focussed on the molecular and biochemical analysis of the genes and proteins involved in the bacterial catabolism of dimethylsulphoniopropionate (DMSP) and production of dimethyl sulphide (DMS). DMS is an influential marine gas, with a key role in the marine sulphur cycle and potentially in climate control, through its effect on cloud formation. My current project, working in the groups of Dr Jonathan Todd and Professor Thomas Mock, is to investigate the pathway for DMSP synthesis in marine diatoms. This should allow us to identify the genes required for DMSP synthesis and the function of DMSP in this important group of marine phytoplankton, and possibly in other DMSP-producing organisms. I studied Biology at the University of Santiago de Compostela, where I majored in Molecular Biology and Biotechnology. 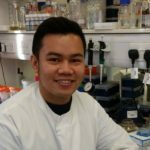 My interest in the application of Biotechnology in the environment drove me to study for an MSc in Biotechnology for a Sustainable Future at the University of East Anglia (UEA). My master’s research project in the group of Dr Jonathan Todd focused on how Thalassiosira pseudonana, a model marine diatom, synthesises glycine betaine, the most abundant osmolyte in nature. After graduating with my MSc, I had the position of senior research technician in the group of Dr Jonathan Todd and Professor Thomas Mock. During this period, I worked on elucidating the DMSP synthesis pathways in phytoplankton, as well as continuing the work on glycine betaine synthesis from my masters project. 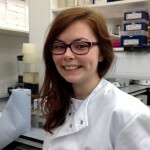 Currently, I am a PhD student funded by BBSRC in the group of Jonathan Todd at UEA and in collaboration with the John Innes Centre (JIC). My project aims to introduce the glycine betaine synthesis genes from diatoms into crops, improving their draugh tolerance and their nutritional value. I received my BSc undergraduate degree in Chemistry from the University of the Philippines Visayas (UPV) and earned my MSc degree in Marine Science at the Marine Science Institute, University of the Philippines (UP-MSI) in Diliman, Philippines. After graduating in 2015, I worked on the Harmful Algal Bloom (HAB) research program of the Philippines as a senior research associate, university researcher and program assistant at the UP-MSI. My primary research topics included harmful algal bloom control and mitigation, algal toxicology, applied clay science and aquatic chemistry. In January 2017, I joined Dr Jonathan research group at University of East Anglia (UEA) with help of CHED-Newton PhD program. During my PhD, I hope to develop a deeper understanding of the cellular processes involved during algal blooms including DMSP production. In particular, I aim to understand the role/s of DMSP and its breakdown product, DMS, in the bloom-forming phytoplankton Prymnesium in the Norfolk Broads. I received my undergraduate degree in Biological Sciences from the University of East Anglia, graduating in 2014. During the summer of my second year I took part in the synthetic biology competition iGEM (International Genetically Engineered Machine), where I discovered a passion for research, especially in molecular microbiology. Following my graduation I have come to work towards my PhD at UEA in the labs of Dr Jonathan Todd and Professor Colin Murrell, funded by NERC as part of the EnvEast DTP cohort. My project aims to determine organisms that catabolize marine DMSP, and further elucidate the genes involved in its breakdown. Pam is a key member of the lab. She ensures the smooth running of the day to day laboratory work, always meeting the health and safety regulations to a high standard. 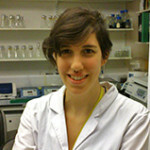 She also helps researchers and students to carry out a wide range of experiments as well as teaching new laboratory members the essential skills needed to work in the Todd laboratory.